Craft businesses at a flagship pottery are flourishing with the support of Let’s Do Mentoring. Studio tenants at Middleport Pottery have gained valuable business support from a host of experienced mentors led by the Director of the ceramics factory and tourist centre, John Lowther. Middleport Pottery, which has gained national recognition as home of TV programme, The Great Pottery Throw Down, is home to 11 small businesses as well as the well-known Burleigh Pottery. These include craft ceramicists such as Jasmine Simpson, Emma Bailey Ceramics, Amy Helena Clarke and jewellery designer, Libby Ward. “We have 11 studio tenants and almost all have taken advantage of the fully funded Let’s Do Mentoring service,” said John. “I work with some of them in areas such as business development and how to bring products to market and they also have access to mentors across a complete range of professional disciplines. 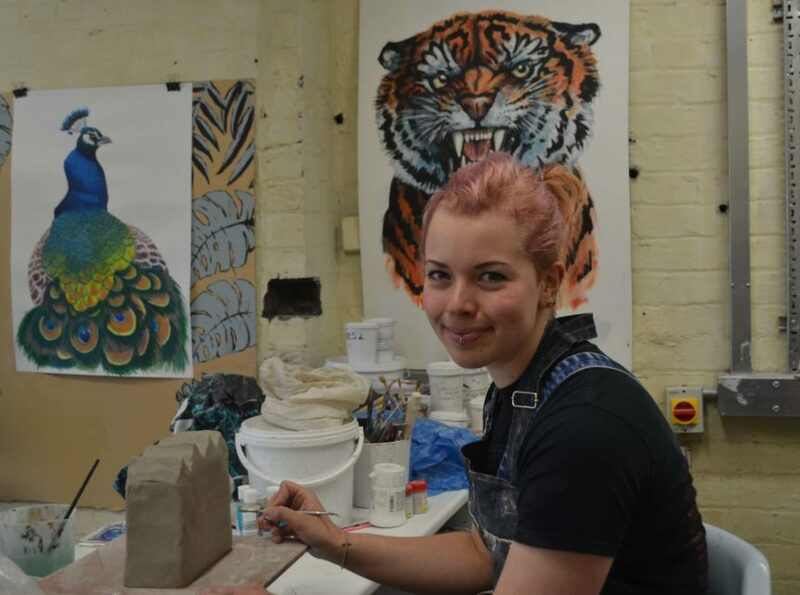 The Middleport studio businesses have also benefited from innovative mentoring work by the Factory creative industries programme, led by Stoke-on-Trent City Council. Factory is a partner of the Let’s Do Mentoring scheme and can give specialist support to art and craft based businesses. “Through Factory, we provided coaching and have funded participation in the British Craft Trade Fair, Harrogate,” said Marc Wootton, Creative Industries Manager at Stoke-on-Trent City Council. And John Lowther added: “Middleport is a fantastic space in which to do business. The studio tenants are at the heart of a site which benefits from 50,000 visitors a year and we have two truly unique assets – the publicity gained for the site from The Great Pottery Throw Down and the backing of the Prince of Wales through the Prince’s Trust. “That is an incredible base which the businesses build on with the support of their mentors. Let’s Do Mentoring is run by Staffordshire Chambers of Commerce and is funded by the European Regional Development Fund and Stoke-on-Trent City Council.